Find the firearms and ammo you need to take down the biggest game. Get all the gear you need to rough it in the great outdoors. We have the tackle and equipment you need to reel in the big one. Hunting enthusiasts know the importance if the having the right equipment for the right situation. And the experts at Sporstworld know that, too. That’s why you’ll always find an excellent selection of quality hunting equipment in stock and at a price that won’t break the bank. We carry a complete selection of camo clothing, gear bags, archery equipment and supplies, quality optics and accessories and western Wyoming’s best selection of firearms and ammunition to name a few. So if you’re looking to get into the great outdoors and bag that trophy of a lifetime, look to the experts at Sportsworld to help outfit you with right gear at the right price. You’ll be glad you did. When it comes to being comfortable in the outdoors — whether you’re camping in a campground, hiking in a remote area or spending time with family and friends grilling in the backyard — one needs the right equipment and the right gear and the right price. And that’s where Sportsworld comes in. We pride ourselves on offering a wide variety of quality outdoor camping gear, tools, accessories and a whole lot more. Plus, we carry one of the largest selections of quality Camp Chef stoves, smokers and accessories in the Rocky Mountain region for all your outdoor cooking needs. Looking for a new tent? New sleeping bag? A dutch oven? Jerkey seasoning? ATV accessories? No problem. We have what you’re looking for. 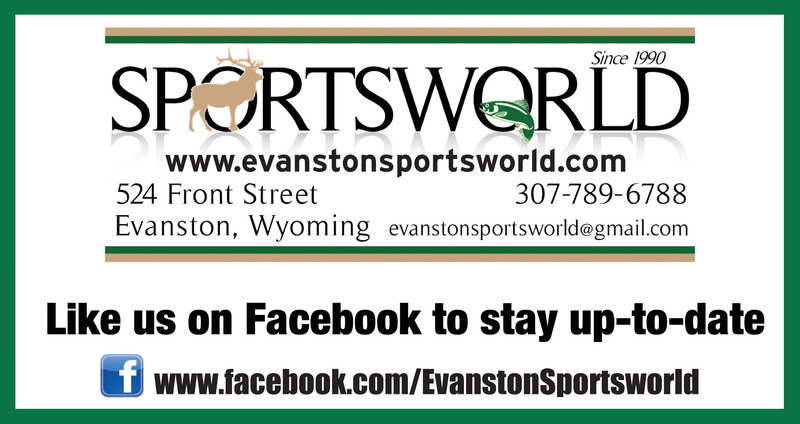 Make Sportsworld your first stop before heading to the great outdoors. We’ll help you get there in style and comfort. Angling opportunities abound in western Wyoming and the Rocky Mountains. And Sportsworld is always ready to assist you with all of your angling needs. Check out our fully stocked fishing department that features everything you’ll need to be successful on area lakes, rivers and streams — including a quality selection of rods, reels, flies, lures, fly tying equipment and huge assortment of accessories and bait. Don’t forget we sell licenses for Wyoming and Utah and have current regulations available. If you’re into putting fish on the table or you prefer catch and release, we’ve got the angling gear to make you a better angler. What are you waiting for? It’s time to fish.